As we move into the evening hours of Wednesday, the weather has let up for most in the Houston area but many still find themselves spending the night in an evacuation shelter. The cities of Houston, Missouri City, and Bellaire are among those under a curfew from midnight to 5 a.m. The death toll from Harvey climbed to 31 Wednesday. Montgomery County is officially under the federal disaster declaration, meaning residents can receive FEMA relief. The latest info from Arkema on the plant in Crosby is that "most likely outcome" is the peroxide will degrade and catch fire between now and the next few days. To read more, click here. Reinforcements for Houston police officers have arrived. They will soon switch to 12 hour shifts. A curfew is in effect for the unincorporated areas of Fort Bend County. The death toll rises to 31 as Harris County authorities confirm six more people have died. Missouri City is reminding residents that there is a curfew in effect tonight from 10 p.m. to 6 a.m.
• Vessel draft cannot exceed 33 feet for the ports of Texas City, Galveston and Freeport. • Vessel draft cannot exceed 37 feet for the Port of Houston. • All vessel traffic is limited to daylight hours. The National Hurricane Center has downgraded Harvey to a tropical depression. Walmart committed to giving $2 million in support of the Hurricane Harvey Relief Fund. Thus was announced today at a press briefing with Houston Mayor Sylvester Turner. Arkema says they are with the local authorities in Crosby to evacuate the area around this plant after chemical refrigeration at the plant had been compromised due to high water and lack of power. To read more, click here. Air 11 surveyed the flooding in Sienna Plantation in Fort Bend County. The Houston Texans have returned from North Texas after their final preseason game was cancelled. Bayshore Medical Center in Pasadena reopened today, including the emergency department, after the hospital suspended services last week to consolidate resources for patient safety in preparation for Hurricane Harvey. "Hundreds of Bayshore Medical Center physicians and staff are grateful to treat their patients at home. There’s no place like home. That’s not a phrase people typically utter about their hospitals, but those were the words on everyone’s lips when they returned to Bayshore Medical Center." The two people who drowned in Fort Bend County have been identified. Limited METRO local bus routes will resume Thursday. There will also be limited METRORail service on the Red Line from Fannin South Station to Downtown Transit Center. Bus shuttles will provide transportation along the line from Downtown Transit Center to Northline Transit Center. Red Line service will be running every 15 minutes. There will also are providing limited METROLift service. The following local bus routes will begin service on Thursday morning running every 30 minutes. METRO is bringing on these major ridership routes first which represent about 50-percent of the Authority's ridership. Here is the update on the Arlema chemical plant in Crosby that was evacuated Tuesday afternoon. Under the provisions of the Texas Commission on Environmental Quality (TCEQ) we are notifying you the need to boil your water prior to consumption due to possible contamination. To ensure destruction of all harmful bacteria and other microbes, water for drinking, cooking, and making ice should be boiled and cooled prior to use. • Boiling. Boil water for two (2) minutes after it reaches a full rolling boil. • Chlorine Bleach. Use only unscented liquid chlorine bleach. If water is clear, add 2 drops of bleach per quart of water (8 drops per gallon). If water is cloudy, add 4 drops of bleach per quart of water (16 drops per gallon). Mix well and let stand 30 minutes before using. • Purification Tablets. These are available at drug stores or camping outlets. Follow the directions on the package. If tablets are over a year old, replace them or throw them away. • Bottled water. Use only water from bottles that have a sealed top. The Houston Astros will be back at Minute Maid Park Saturday. Texas native and country music superstar George Strait is helping out victims of Harvey. 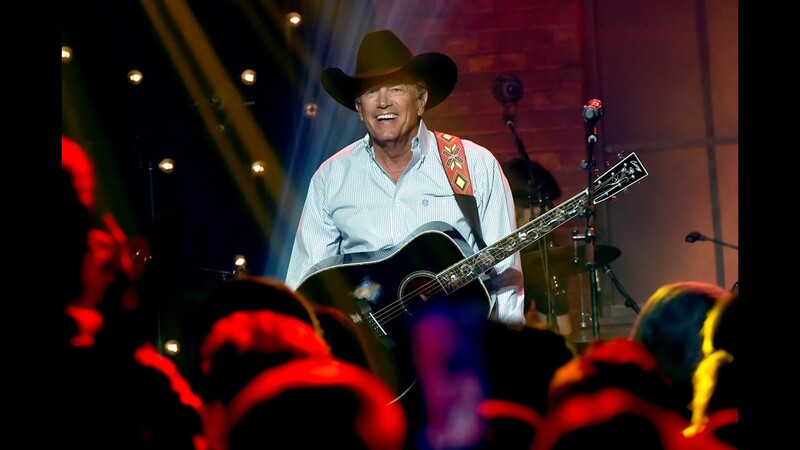 Strait announced on Twitter that he's putting together a benefit concert. 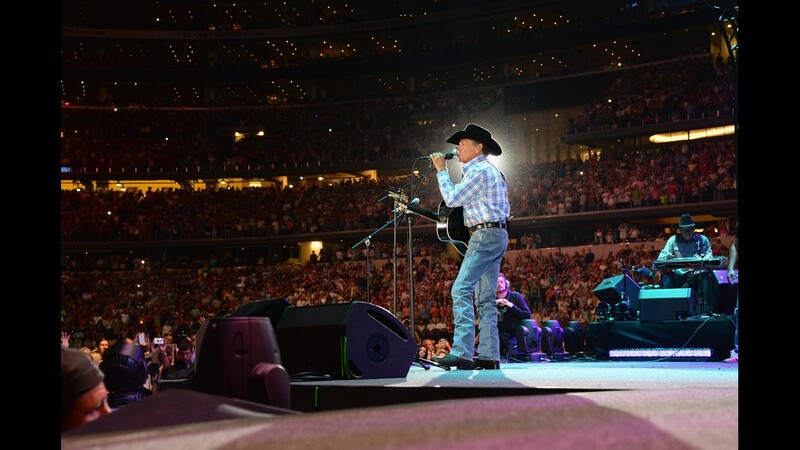 Musician George Strait performs onstage at George Strait's 'The Cowboy Rides Away Tour' final stop at AT&amp;T Stadium at AT&amp;T Stadium on June 7, 2014 in Arlington, Texas. George Strait performs onstage during Skyville Live Presents a Tribute to Jerry Lee Lewis on August 24, 2017 in Nashville, Tennessee. 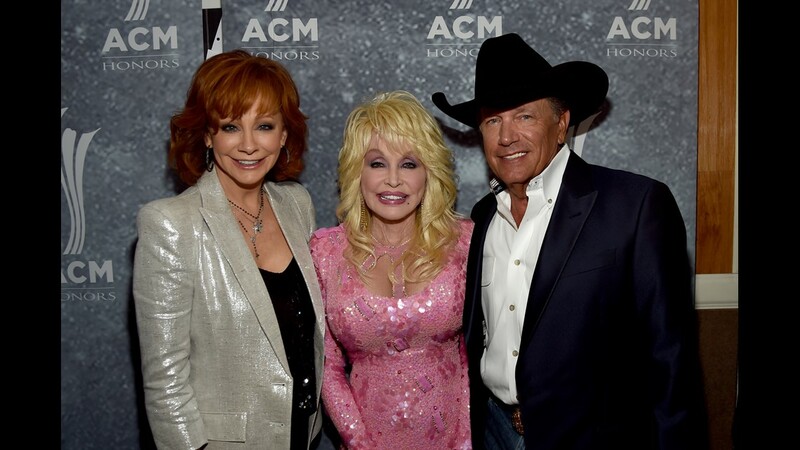 Honorees Reba McEntire, Dolly Parton, and George Strait attend the 11th Annual ACM Honors at the Ryman Auditorium on August 23, 2017 in Nashville, Tennessee. 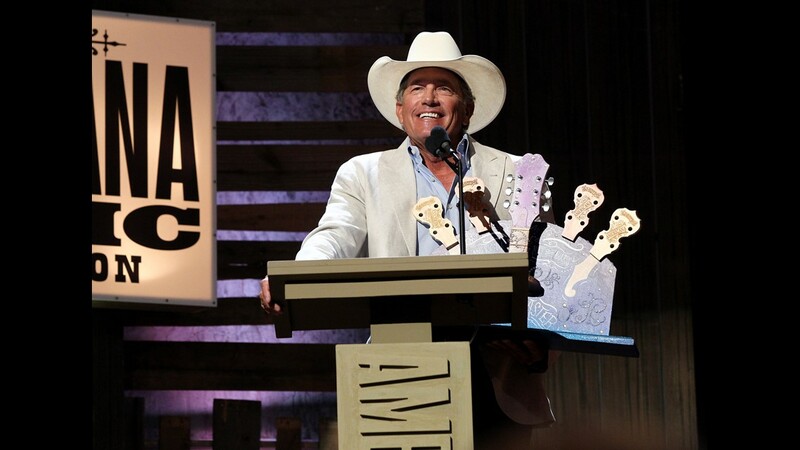 George Strait speaks onstage at the Americana Honors &amp; Awards 2016 at Ryman Auditorium on September 21, 2016 in Nashville, Tennessee. 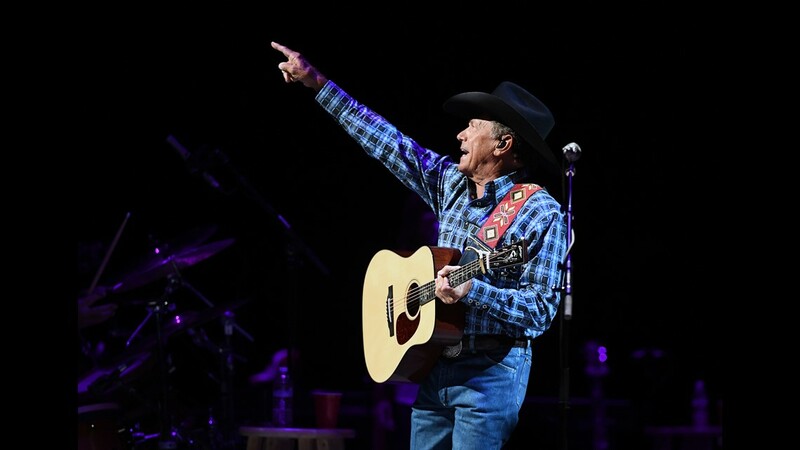 Recording artist George Strait performs during one of his exclusive worldwide engagements, "Strait to Vegas" at T-Mobile Arena on September 9, 2016 in Las Vegas, Nevada. 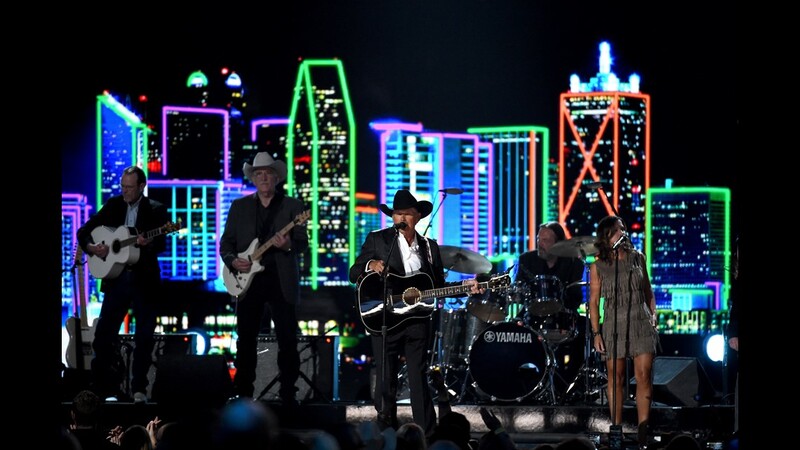 George Strait performs onstage during the 50th Academy of Country Music Awards at AT&amp;T Stadium on April 19, 2015 in Arlington, Texas. Musicians Faith Hill performs "A Showman's Life" and "Let's Fall To Pieces Together" onstage with George Strait at George Strait's 'The Cowboy Rides Away Tour' final stop at AT&amp;T Stadium at AT&amp;T Stadium on June 7, 2014 in Arlington, Texas. An extended view from above the catastrophic flooing. The Fort Bend County Sheriff's Office has confirmed two deaths in the area. The Houston Airport System just announced both Bush and Hobby Airports will resume service Wednesday at 4 p.m.
Those arriving at the airport will need to have a ticket in hand already, however. The airport system warns travelers to call their airlines before heading to the airports. Texans GM Rick Smith says the team is happy to be heading home. Donations are pouring in at BBVA Compass Stadium. Mayor Sylvester Turner says city employees will return to work on Tuesday. The mayor also said heavy trash pickup begins today. Regular trash service resumes next week. Regular trash pickup probably resumes next week. Heavy trash pickup underway! Turner says that the municipal court and city hall took on some water. The Theater District parking garages suffered significant damage. The mayor added that City Council authorized $20 million from general fund to emergency purposes relief. Most schools will start on Tuesday as week. He said HPD is attempting to move away from rescue missions and more toward law enforcement. Gov. Greg Abbot said that more National Guard troops will be deployed. HCSO finds a van inundated by Greens Bayou flooding while carrying 6 family members. Missouri City has instituted a curfew for the city. Thursday’s preseason game between the Dallas Cowboys and Houston Texans has been cancelled, KHOU 11's sister station in Dallas has confirmed. The teams were informed of the cancellation at respective team meetings Wednesday morning, WFAA reports. NFL Network’s Mike Garafolo wrote on Twitter that the game was cancelled so Texans players could return home to Houston to help out and be with their families. The mayor has asked that the Astros play their Friday night game. A sheriff’s official north of Houston says two men died this week in separate drownings, bringing the number of confirmed Harvey-related deaths to 20. Montgomery County sheriff’s Capt. Bryan Carlisle said Wednesday that 33-year-old Joshua Feuerstein of Conroe died when he disregarded a barricade and drove his pickup into standing water Monday. Port Arthur native and local Houston rapper Bun B stopped by the KHOU 11 set at PBS to talk about how his hometown was being affected by flooding. According to the Harris Couny Flood Control District, a portion removed itself from the base of the levee because water came over the top of the intake system. This came out of area where water is pumped out of Cyprus Creek/Infernus Forest subdivision. A portion of levee is now eroded. Several agencies are trying to remedy the situation by bringing sand to the area. Mandatory evacuation will remain in place. About 100,000 people are still without power after tropical storm Harvey flooded the Houston area. Some 800 crew members at Centerpoint Energy are on the ground trying to restore electricity as quickly as possible. More crew members from other parts of Texas as well as Louisiana, Florida, Kansas, Alabama and Tennessee are expected to arrive to assist. The Houston Livestock Show and Rodeo has made a monetary contribution to the relief flood. The Houston Live Stock Show and Rodeo is donating $2 million for Hurricane Harvey flood relief. The Houston Independent School District announced Wednesday all students will eat all school meals for free during the 2017-2018 school year. The approval came from the United States Department of Agriculture and the Texas Department of Agriculture to waive the required application process for the National School Lunch/Breakfast Program. Officials with FEMA hold a press conference on recovery and rescue operations. More than 195,000 people have registered for assistance from FEMA. So far, FEMA has provided more than $35 million to those registered. To register for FEMA aid, applicants can go to DisasterAssistance.gov. Those without access to the Internet can sign up by calling (800) 621-FEMA (3362). Individuals who have speech disabilities or hearing loss and use TTY should call (800) 462-7585. Power restoration is still ongoing, and officials are still working to assess schools. They may have to set up temporary facilities. The main airports in the area are still closed. One local airport was open, but its only flight today was canceled. U.S. Sen. Ted Cruz (R-Texas) says he expects the Texas delegation in Congress will push for a bill to target relief for relief from Harvey. Cruz says he and several Republicans voted against funding for Superstorm Sandy because that bill had unrelated items like funding for Alaska. Cruz says funding for Harvey will not have any unrelated items. 4,000 homes near the Addicks and Barker reservoirs are inundated with water due to planned releases. Expect some homes to be under water for weeks. READ MORE: 4,000 homes inundated due to reservoir releases. Houston police report that water rescues are now down to around 40. Plantation at Bittersweet, Ric is now passable (Pecan Grove Subdivision), Fort Bend County Sheriff's Office say. FM 723 is now CLOSED from US 90A to FM 359 due to water from the Brazos River flowing over the roadway, Rosenberg police report. Houston Airport system remains closed until further notice. George R. Brown Shelter no longer needs clothing donations. Please donate to other shelters that are not getting as much attention. I-45 N. Fwy. at 1960 is back open in both directions. The water from Cypress Creek is going down. East Fork San Jacinto River and Lake Houston have both crested. Flooding concerns in Wharton County remain high Wednesday morning. Water from Colorado continues to flood neighborhoods in the county. The National Guard is headed to the area to help with recovery efforts. Our tropical storm warning, storm surge watch, and flash flood watch have all been canceled for the Houston area, according to National Weather Service Houston. Improving weather conditions are on the way. Tropical Storm Harvey made a landfall near Cameron, Louisiana around 4 a.m., according to the National Weather Service of New Orleans. A heavy rain threat still remains over southeast Louisiana and southern Mississippi. Flood waters almost reaching those sleeping at the Bob Bower Civic Center in Port Arthur. Evacuations and rescues remain ongoing. Harvey hitting Port Arthur hard. Carl Parker Center opens as shelter in Port Arthur. The city of Port Arthur is now using dump trucks to evacuate residents. Volunteers and the National Guard are helping the Levee Operator of Sienna Plantation LID to fill sandbags to address a maintenance issue on the interior rim of the levee. 1:30 a.m.: Wharton County's Office of Emergency Management says if you are safe for now, shelter in place. Roads are too dangerous to evacuate. Earlier in the evening officials in Wharton had asked residents in the Orchard or Peach Creek Acres to evacuate. 1:15 a.m.: According to CenterPoint Energy, 97,000 people remain without power in Houston following Harvey's record-breaking impact. 12:15 a.m.: Fire and military personnel in Crosby head out to rescue a family trapped near a chemical plant that's at risk of fire and explosion. Company officials with Arkema said on Tuesday that chemical refrigeration had been compromised due to high water. The first group of evacuees have arrived at the newly opened shelter at NRG Park.